How can a postcapitalist economy be envisioned, let alone practically designed, in the absence of a radically new concept of value? 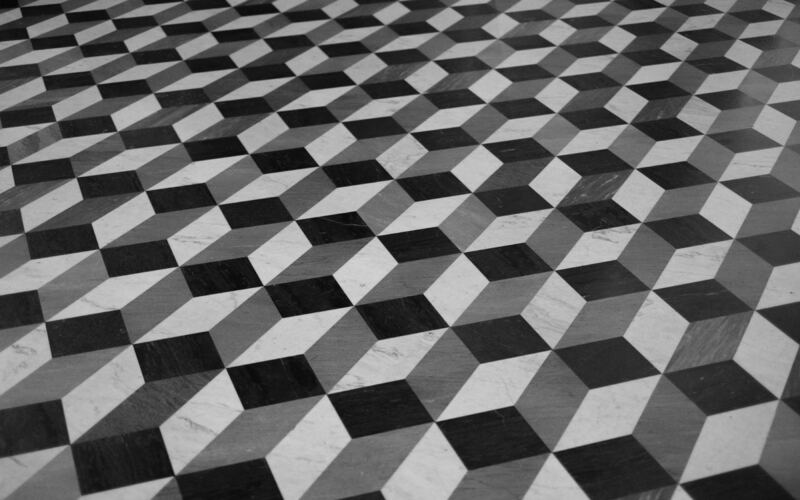 How can the transition to new social forms be effected without a renewed sense of how and what we collectively value? It is time to reclaim value, beyond normative strictures and the capitalist fixation on quantity over quality. It is time to occupy surplus-value, for a postcapitalist future. 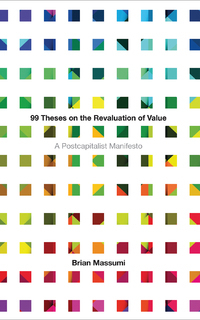 The context for 99 Theses on the Revaluation of Value is two-fold. 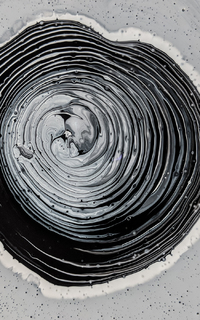 On the one hand, it grows from a long-standing project to rethink the concept of value in qualitative terms, modeling it not on law or norm but, following the lead of A. N. Whitehead and Raymond Ruyer, on primary qualities of experience such as color (themselves reconceived). The working title of this larger project is Virtual Ecology and the Question of Value. On the other hand, it is intimately entangled with the aspirations of the SenseLab, a research-creation collective founded by Erin Manning, to spawn an autonomous alter-university called the 3 Ecologies Institute (after the title of a book by Félix Guattari). To assert its autonomy, this project (discussed in Theses 94–96) requires the invention of an alter-economy operating outside the current educational debt economy. This alter-economy project, involving a creative use of post-blockchain digital technology as part of the mix, is dubbed the 3E Process Seed Bank. Below are supplementary materials related to both of these aspects of the project. A series of previously published articles form the backbone of the evolving project. These will be revised and supplemented. “Envisioning the Virtual” introduces the concept of surplus-value of life, which will be a guiding concept of the project. Here, it is introduced in its guise as surplus-value of perception, approached through an investigaton of “nonsensuous perception.” Originally published in The Oxford Handbook of Virtuality, ed. Mark Grimshaw (Oxford: Oxford University Press, 2014), 55–70. “Such As It Is: A Short Essay in Extreme Realism” asks what the mode of existence of a primary quality of experience is, in order to ground what is meant throughout the project by “qualitative.” The paradoxical answer is found in an anlysis of C. S. Peirce's concept of Firstness (crossed with Whitehead's “eternal object” and Deleuze's “singularity”). Originally published in Body & Society 22, no. 1 (March 2016): 115–27. The alternative, non-normative concept of value, as modeled on color, is set in motion in “Virtual Ecology and the Question of Value” and linked to the mode of existence of Firstness as discussed in “Such As It Is.” Originally published in General Ecology: The New Ecological Paradigm, ed. Erich Hörl (London: Bloomsbury, 2017), 345–73. A conceptual history of the first ten years of the SenseLab explaining the ethos that has informed SenseLab activities, and sets the stage for the 3 Ecologies Institute. “Propositions for Thought in the Act,” from Erin Manning and Brian Massumi, Thought in the Act: Passages in the Ecology of Experience (Minneapolis: University of Minnesota Press, 2014), 83–152. An interview with Erin Manning and Brian Massumi by Marc Todoroff (2018) providing an overview of the alter-economic concerns and concepts guiding the collective work toward the creation of the 3E Process Seed Bank. The SenseLab has collectively produced a series of Working Papers, among other materials related to the 3 Ecologies project. Each Working Paper grapples with particular aspects of the 3E Process Seed bank, such as how to register the affective intensity of creative process as a surplus-value of life (the question of the “anarchive” and its associated “affect-o-meter”) and to how to conceive of a digital platform that combines a creative culture of collaborative exploration with a self-sustaining alter-economic system, in a way that is collectively self-orgnanizing rather than normatively ruled (using a complex interplay of “self-organizing propositions” and “processual operators” to replace the conventional “governance system” framing most emerging post-blockchain projects). Each Working Papers represents a particular stage in the collective work. They do not necessarily reflect the current state of the project (in particular, the concept of the affect-o-meter has significantly evolved, in a way that radical decouples it from individual inputs). 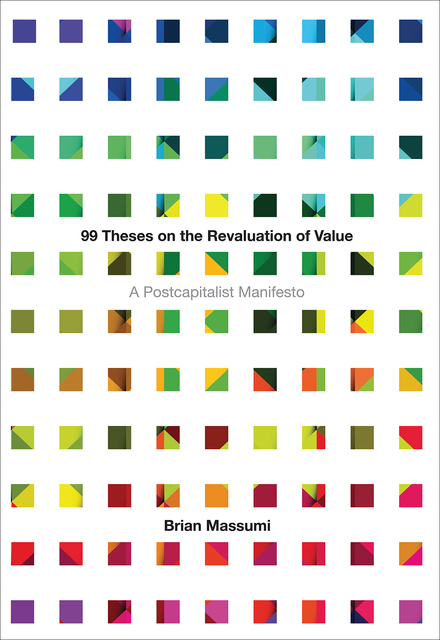 According to Brian Massumi, it is time to reclaim value from the capitalist market and the neoliberal reduction of life to “human capital”—time to occupy surplus-value for a postcapitalist future. In his theoretical and practical manifesto, Massumi reexamines ideas about money, exchange, and finance, focusing on how what we value in experience for quality is economically translated into quantity. “Such As It Is: A Short Essay in Extreme Realism” asks what the mode of existence of a primary quality of experience is, in order to ground what is meant throughout the project by “qualitative.” The paradoxical answer is found in an anlysis of C. S. Peirce's concept of Firstness (crossed with Whitehead's “eternal object” and Deleuze's “singularity”). It was originally published in Body & Society 22, no. 1 (March 2016): 115–27. The alternative, non-normative concept of value, as modeled on color, is set in motion in this article and linked to the mode of existence of Firstness as discussed in “Such As It Is.” Originally published in General Ecology: The New Ecological Paradigm, ed. Erich Hörl (London: Bloomsbury, 2017), 345–73. This section from Erin Manning and Brian Massumi’s, Thought in the Act: Passages in the Ecology of Experience provides a conceptual history of the first ten years of the SenseLab explaining the ethos that has informed SenseLab activities, and sets the stage for the 3 Ecologies Institute. It was originally published by the University of Minnesota Press in 2014.